You are invited to an evening of poetry and prose. 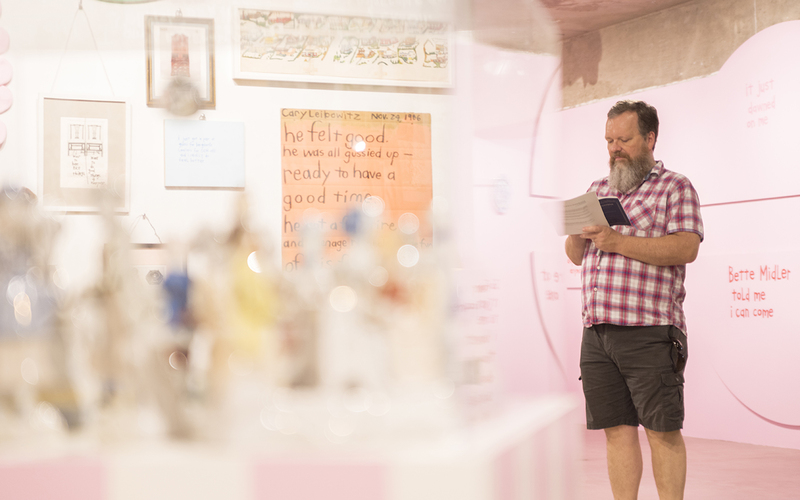 Houston-based authors and poets share new works inspired by the exhibition Walls Turned Sideways: Artists Confront the Justice System. For the participants that would like to be a featured reader at Reading | Words & Art, they can submit their work to wordsandartsubmissions@gmail.com by midnight on Saturday, October 20, 2018. Works must be one page or less and must respond to the artworks in the exhibition Walls Turned Sideways. Submissions are judged by Mary Wemple and a guest judge. Featured readers will be announced on Friday, October 26, 2018. It is not required to attend the workshop in order to submit writing to be a featured reader. Words & Art is a workshop and reading series inspired by the art in Houston. It was founded and organized by local poet and artist Mary Wemple.